VIDEO DEMONSTRATION PROJECT. 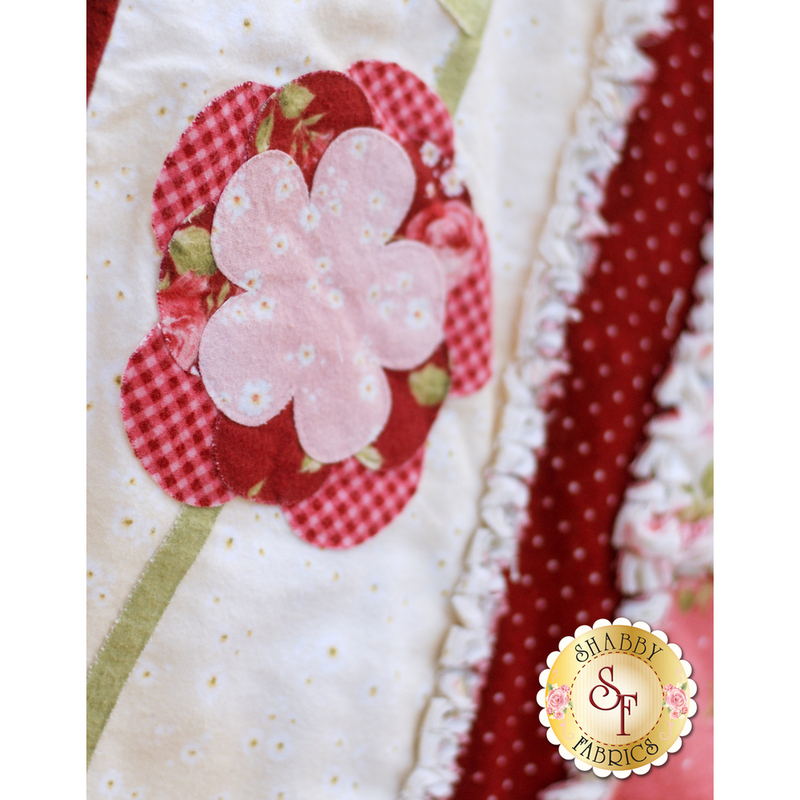 Follow Along with Jen in our "How to Make a Rag Quilt" video for tips and techniques on completing this project. 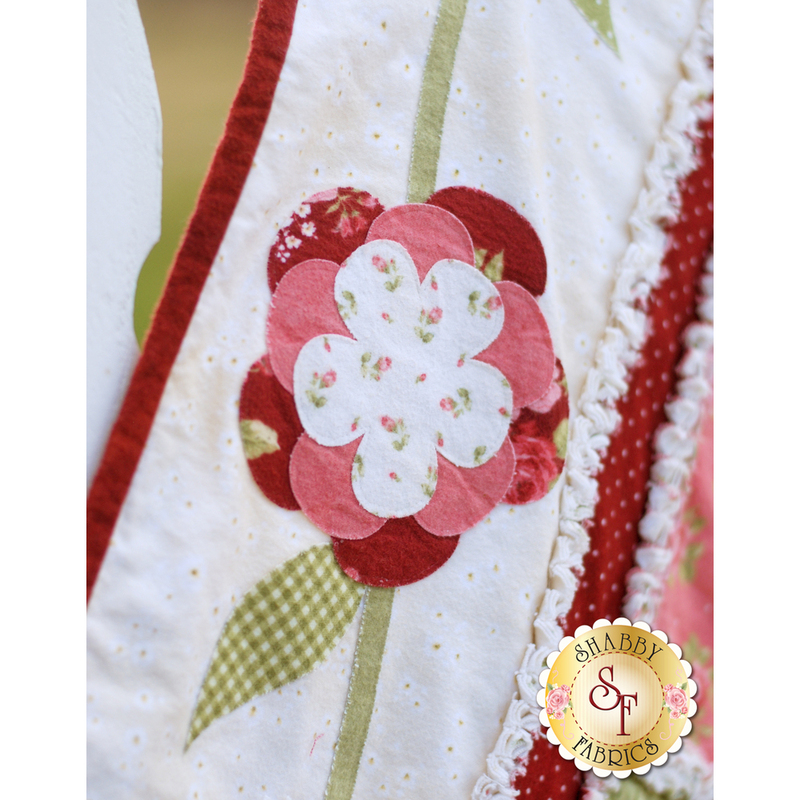 Pre-fused laser-cut applique flowers surround the soft, fluffy ragging on this lovely flannel quilt. 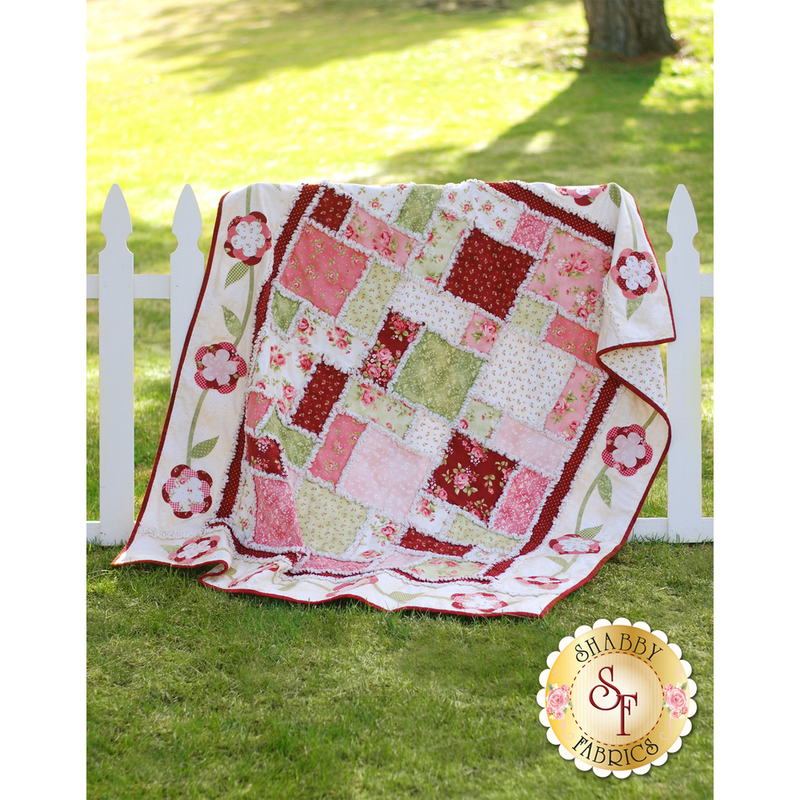 This lap-size quilt finishes to approximately 55" x 67". 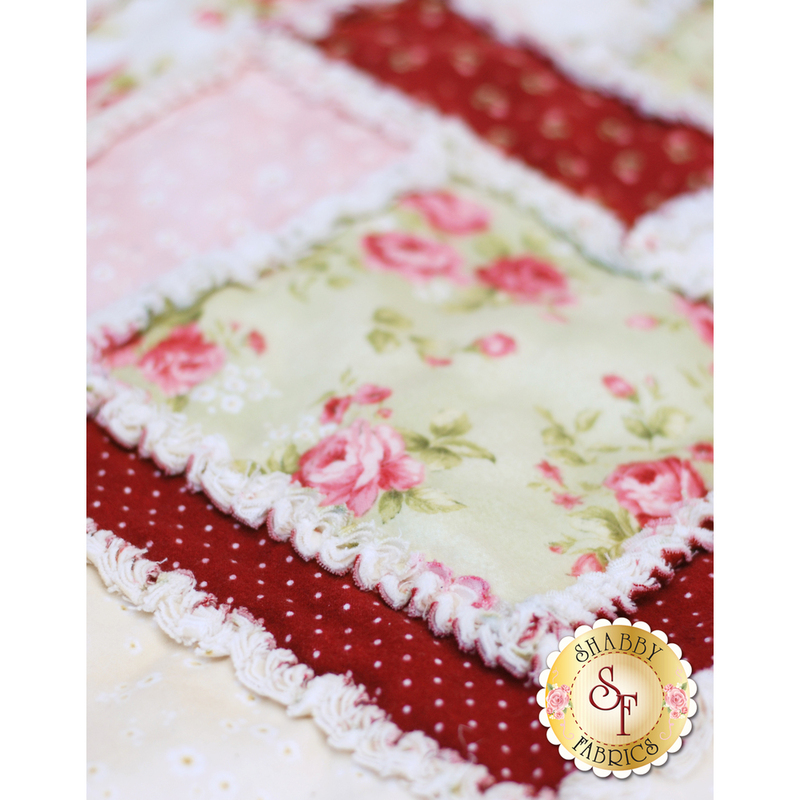 The best part is it's fast and simple, so you'll be cuddled underneath your very own plush quilt in no time! Backing is not included. Requires 4⅛ yards. Easy Action Rag Quilt Snip - Fiskars - Extremely helpful for ragging the quilt. Middle Flannel Layer - Extremely helpful for making a light, comfortable quilt. Replaces batting. Due to the bulk of this product, additional shipping charges may apply for international customers.